If breakfast is the most important meal of the day, why would you use inferior ingredients? Start your day off with a TortillaLand® uncooked flour or corn tortilla for that authentic taste and texture of a homemade tortilla. Making tortillas by hand every morning is unlikely to be an option for most of us so it's a good thing our ready-to-cook tortillas cook up fresh in just 60 seconds. Most of these of great tasting breakfast dishes can be made in a snap for a hearty breakfast. Wrap your favorite breakfast ingredients like scrambled eggs, sausage, salsa and cheese into a freshly cooked TortillaLand® Flour or Cheesy Flour Tortilla and go! Perfect for breakfast on-the-run. Breakfast tacos are perfect for bringing the family to the table before starting the day. We really liked this recipe for Breakfast Tacos posted on the food blog, Love & Olive Oil. These tasty morning treats combine a mixture of bacon, eggs, diced red potatoes, creamy avocado and cotija cheese in corn tortillas for a delightful breakfast that will keep you full until lunchtime. For a slightly different take, check out this recipe for Breakfast Tacos that can be enjoyed with any of our tortillas. Oh how we love a weekend brunch, and these recipes for Baked Breakfast Taquitos and Crispy Egg and Sausage Breakfast Flautas come together quickly with ingredients that you probably already have on hand. The taquitos recipe combines sausage, scrambled eggs, hash browns, cheese, along with spinach or other veggies you'd like to sneak in. All you need to do is add the filling to your tortillas, roll them tightly and bake for 12-15 minutes! Click here for the full recipe. Flautas for breakfast is a great way to break free from your normal routine. Not only are they great for guests, these crispy and spicy baked flautas packed with eggs, sausage, and pepper jack cheese will make everybody smile. Click here for the full recipe. Tortilla quiche? Yes, it can be done! Just ask Food Blogger, Angela Roberts. In her blog, Spinach Tiger, Angela shares this delightful recipe for Tortilla Crusted Tomato Bacon Cheddar Quiche . It was Angela who introduced us to the idea that using TortillaLand® Flour Tortillas to make pie crust! Click here for the recipe. We also love this original recipe for Fresh Tortilla Breakfast Cups which calls for a mix of eggs, cheese, vegetables and cooked breakfast meats to be combined in a TortillaLand® Flour Tortilla and baked in an un-greased muffin tin for a crispy, tasty breakfast cup! Click here for the recipe. For a fun twist on a weekend brunch, we recommend this recipe for Not Just For Breakfast Tortilla Pie. While it makes a great breakfast, this dish will hit the spot any time of day- breakfast, lunch or dinner! Simply layer eggs, chorizo, cheese, black beans and a handful of veggies with TortillaLand® flour tortillas for a dish that will impress! 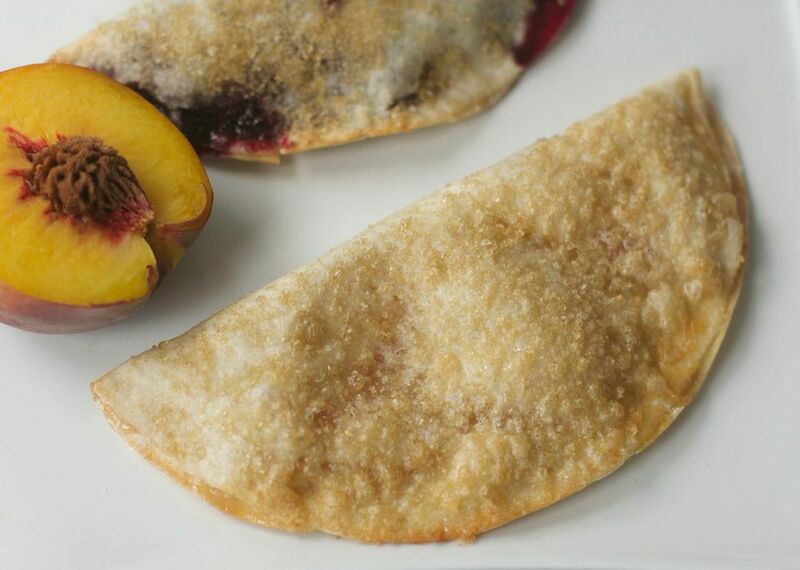 Speaking of pies, did you know these Peach & Blueberry “Pie” Tacos made with our flour tortillas can also be enjoyed first thing in the morning? Perfect for fruit lovers! But that's not all. When it comes to creating wholesome meals, the sky is the limit with TortillaLand® tortillas. These can also be enjoyed as Breakfast Quesadillas, Breakfast Enchiladas, Mexican Breakfast Casserole, Breakfast Pizza and more! Got an original recipe you'd like to share with us? Post your creations on our Facebook page!